Background information on H. Res. 69 and why the #littlebillthatcould is important. The privilege of being part of this community is also the responsibility to share important information, and so, I thank you all for this opportunity. My exploration into advocacy began in 2014, and I quickly discovered, during the #morethan4 movement, as a DIPG parent that this particular disease exemplifies in a powerful and horrific way the tragedy that faces us all in the childhood cancer community: the lack of viable solutions for our children. I also began to realize the disconnect between the medical research system and that of medical care, first in the experience of hearing that there was nothing I could do to save my son’s life because, “the numbers aren’t great enough for investors.” That fall at Curefest, then NCI Director Varmus said that the issue would simply not be discussed at the White House Briefing. Clearly there was something wrong; I’d entered into a terrible world where “the system” definitively had no value for human life, and the powers that be were resisting any kind of national discussion about it. H. Res. 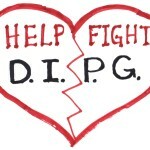 69, the DIPG Awareness Resolution, was written by parents for children with cancer and their families. There is insufficient public awareness of this issue for change to occur in a timely fashion, but I discovered along the way that “Sense Of” Congress resolutions comprise an avenue by which the American People may solicit the help of Congress (either chamber–each has its own protocols) to raise awareness to an issue for which a distressed population requires assistance. The process began in my home state, California in 2014, when the Assembly and the Senate passed the first DIPG Awareness Resolution. Then State Senator Knight became my Congressman in 2015, and the fall of 2015, with my return to Curefest, saw us working together on the first national bill in the House of Representatives, H. Res. 586, which was introduced in January of 2016, and was reintroduced as H. Res. 69 in January of 2017. The Resolution asks simply that pediatric and high-mortality rate cancers receive greater consideration in the research grant process with both public and private sources. It also raises awareness to the deadly statistics of DIPG, pediatric brain cancer, and the general neglect of the field of pediatric cancer research in its language. It also designates May 17 as DIPG Awareness Day, May being brain tumor awareness month; as brain cancer is the #1 killer of our kids with cancer, DIPG is responsible for the majority of pediatric brain cancer deaths annually. A relatively small annual population, DIPG-diagnosed children are hardly irrelevant…as if any child’s life could be. Yet, this is the message parents continue to receive from our research investment culture. The Resolution is running out of time, the end of the 115th Congress. While it’s sat in committee with no movement for 3 years, another 1200 children have died of DIPG, and thousands from other cancers; and so, we are asking our greater childhood cancer community to consider helping us by calling their Representatives offices in Washington and in their district to straight-out ask them to “cosponsor”, or sign in support the Resolution, and to encourage House Leadership: Speaker Ryan, Majority Leader McCarthy, to allow a House vote. We are providing email contacts for the aides of those gentlemen to those in our community who would like to go a step further–and yes it’s necessary if we wish to get it passed!–to again ask flat-out that the Leadership allow a House vote. “Why does this matter when we have STAR, RACE, Kids First, ACE, etc?? ?” Has anything changed for your kids? Are you more hopeful now that their lives are given commensurate value with the urgency of need for solutions for them? All of these bills are extremely important triumphs, and steps forward, but none of them are guaranteed to raise awareness, or to cause the powers that be to ensure that the humanitarian values embodied in the emergency room–saving the dying first, the vulnerable, children–will ever be applied to our system of research in an accountable manner where profits and numbers dominate shamelessly. The only thing that will truly ensure change is public awareness, and public accountability. I’m not asserting that this “little bill that could” will fix the problem, but it’s an important step in the right direction, and it expresses an unmet desire in the childhood cancer community: let’s discuss the lack of solutions for our kids to find creative solutions together, and so that other powers in the world can help. Bottom line, it sets an important precedent, and paves the way for others to participate in our democracy which is obviously needed right now. The Caroline Pryce Walker Conquer Childhood Cancer Act of 2008 had within it a provision that the Government Accountability Office would conduct an investigation to pinpoint the greatest challenges to adequately funding pediatric cancer research within the NCI. This never happened, and I believe it still remains one of the tenets of the STAR Act which remains yet unapproved. Please tell me if I’m wrong. Our advocates must work tirelessly to have these bills re-authorized, get their funding, keep their funding when they get it. Greater public awareness to the problem would definitely lend needed support to this effort. Have I experienced resistance because the Resolution singles out DIPG? Yes. But I’m telling you, until we roll up our sleeves and get specific, give the public something to wrap their collective head around, and have empathy for this terrible suffering that spans the entire pediatric disease community, yes even beyond cancer, nothing’s going to change. Until we learn what is DIPG, what is alveolar rhabdomyosarcoma, anaplastic Wilms, Desmoplastic Small Red Cell Tumor (sarcoma)–I just learned about that one yesterday–no one is going to care. And yes, I hope this helps open the door for others to step forward and share their stories, get an awareness day for another type of cancer that desperately needs solutions. There is no human, rational reason to deny people the right to do that. And so, I unapologetically fight for all of our children with the banner of the DIPG Awareness Resolution. For DIPG children, it’s not a question of whether or not they will ever have the chance to have a voice…invariably, they almost all perish within 18 months of diagnosis. And as a parent you don’t even begin to know what has really happened until they are gone…and it just shouldn’t be so torturously awful but as all of you know too well, it is. There is more information about “Sense Of” Resolutions and why this bill qualifies for a House vote if you follow the link below. Congress stopped celebrating individuals or organizations with an awareness day due primarily to the frivolity of overuse, but H. Res. 69 clearly qualifies for a House vote under Protocol 7 of Rule 28. 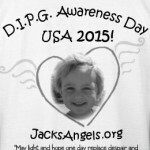 The first DIPG Awareness Resolution was for the state of California in 2014, by the work of Jack’s Angels Foundation, and then in 2015, the Fabus family in Pennsylvania had a DIPG Resolution for PA. Little Michael Mosier perished to DIPG on May 17 of that year, and we and other groups across the country have worked with the Michael Mosier Defeat DIPG Foundation to help get 31 states this year in 2018, in solidarity for May 17 as DIPG Awareness Day, including that day in the language of the national bill H. Res. 69. For more information about how you can support this bill before the 115th Session of Congress ends, or a 2019 House or Senate Resolution, please follow this link to brief instructions.